I am loving the colors in this week's Color Challenge. 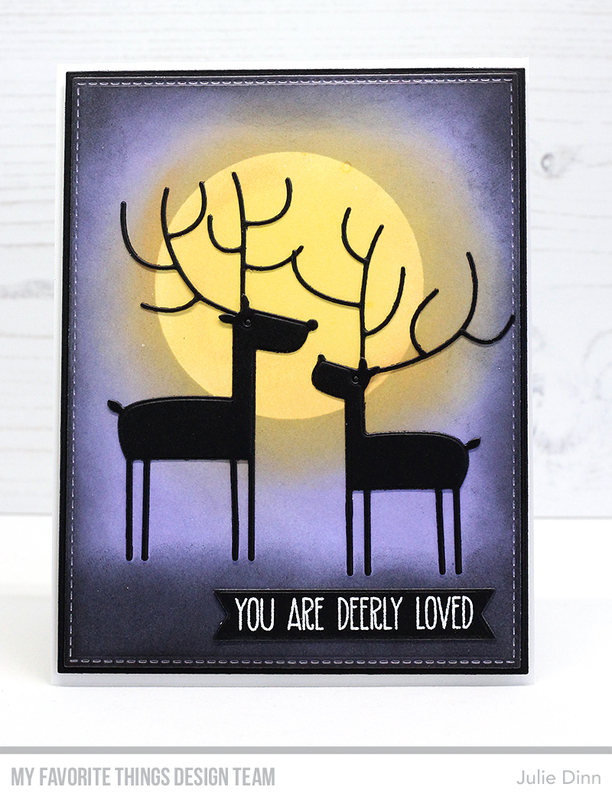 At first, I wondered what I would create with them, but then I spotted the Deer Love Die-namics on my desk and the rest was history! I masked off the moon and then sponged on Orange Fizz, Grape Jelly, and Black Licorice Premium Dye Ink. I removed the mask and sponged on Lemon Drop Premium Dye Ink. The deer were die-cut from Black Licorice card stock. Oh my ! That's a lovely card with an incredible light ! !